Apparently the first Despicable Me movie made enough money to convince the producers to make another one. 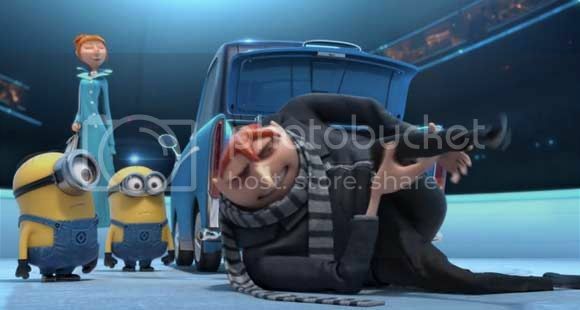 In Despicable Me 2 Gru's joining the Anti-Villain League which I'm guessing catches bad guys during their spare time. I know Gru's got some great gadget ideas of his own but this time he's going to be supplied with a new James Bond type car that transforms into a jet and a submarine among other things. I'm not really sure when this'll be on the big screen and I'm too lazy to google about it so just go ahead and assume that it's coming out in a month or two. For now just watch the break if you have nothing else better to do.